Tata Harrier TVC video ad asks - What does it take to be above all? Tata Harrier TVC video ad asks – What does it take to be above all? 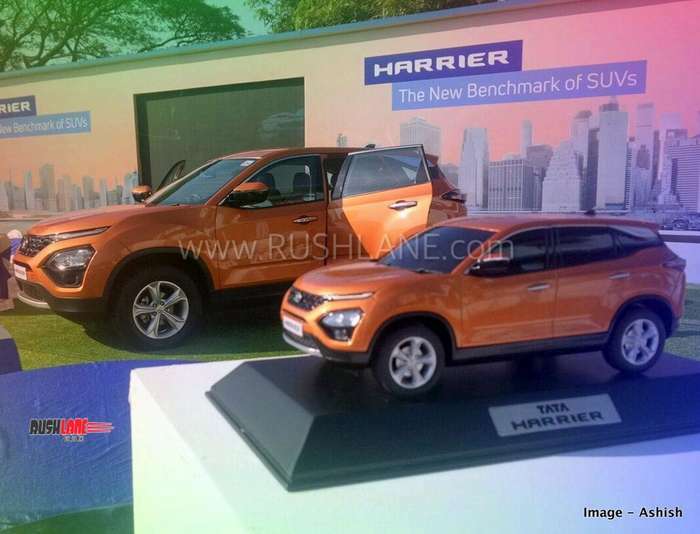 Tata Harrier prices start from Rs 12.7 lakhs, ex-sh. A genuine SUV footprint built on D8 platform with a monocoque body, use of high strength steel and many aspects carried over from Land Rover. A shop floor that has been developed for manufacturing excellence. A car that is tested for 22L kms and adapted to drive in Indian conditions. It’s robust design is a keypoint. The car has been crash tested at an internal facility for 100s of possible crash scenarios. And this is why Tata claims, the Harrier is Above All. Tata Harrier has 6 airbags, ESP, multiple safety points, a Kryotec engine, and comfort features galore to make daily driving an upscale, safe and comfortable one. New Tata Harrier is based on IMPACT Design 2.0 philosophy, and Tata Motors has introduced four variants (XE, XM, XT and XZ) at launch. Design efforts have culminated in a well received vehicle that was applauded in concept form. Pointed LED tail lamps and a moulded tailgate make up the rear end. Flared wheel arches, 5 spoke alloy wheels, a promising front grille, low placed headlamps, high positioned DRLs, and a sloping roofline and floating D Pillar bring together Tata’s newest 5 seater SUV. Below is the first marketing video commercial of the Harrier SUV. For those who see the lion in the headlamp cluster, this is in line with the series of Indian animal ‘Easter Eggs’. Elephants for Tiago/Tigor. Tigers for Nexon. Lions for Harrier, and so on. Tata Harrier is powered by a 2.0L Kryotec 2.0 diesel engine that returns max power of 140 PS, and 350 Nm torque mated to a 6 speed manual transmission (MT). With three drives modes – Eco, City and Sport, and terrain response modes – Normal, Rough and Wet, the SUV looks set to take on varying road and weather conditions. Introduced at an entry price point range of Rs 15-20 lakhs, on-rd, initial booking numbers haven’t yet been revealed (bookings opened back on 15th October 2018). Until the January sales report reveals more, we’re on tenterhooks regarding the sort of initial interest the new Tata SUV has generated.